The official authority of and trusted resource for Nashville travel-planning. Come see us in Music City. We love welcoming new friends. 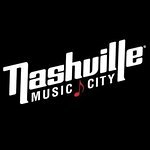 Get the most of Music City for LESS. Browse through giveaways, discounts, deals, and coupons.